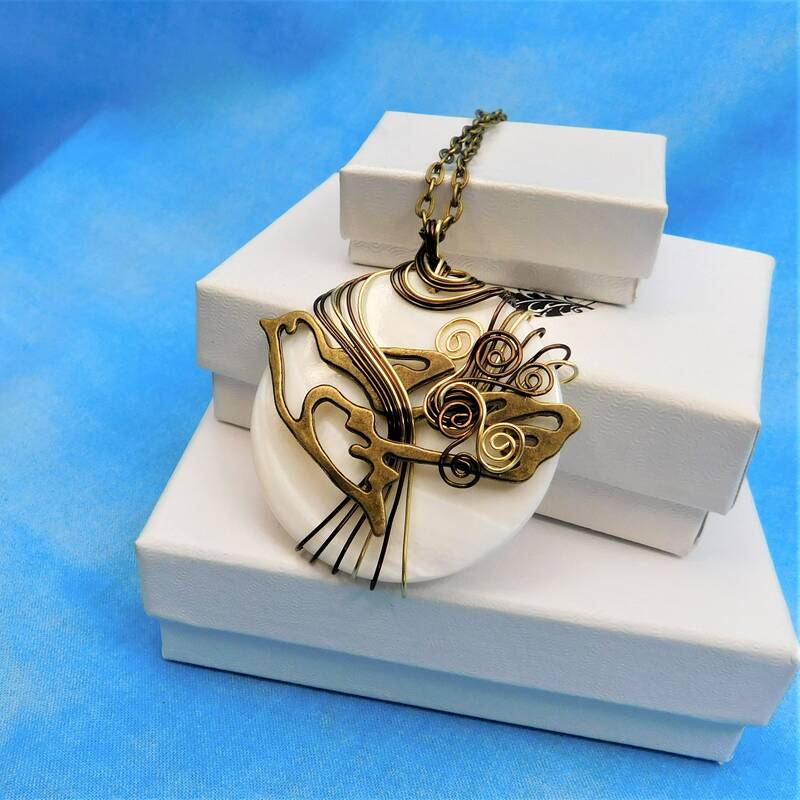 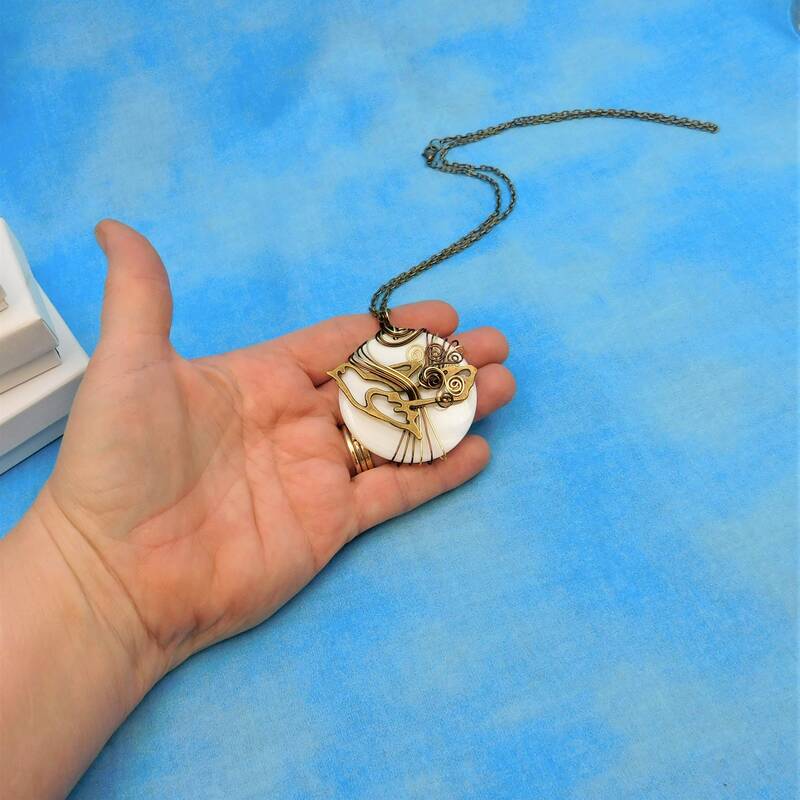 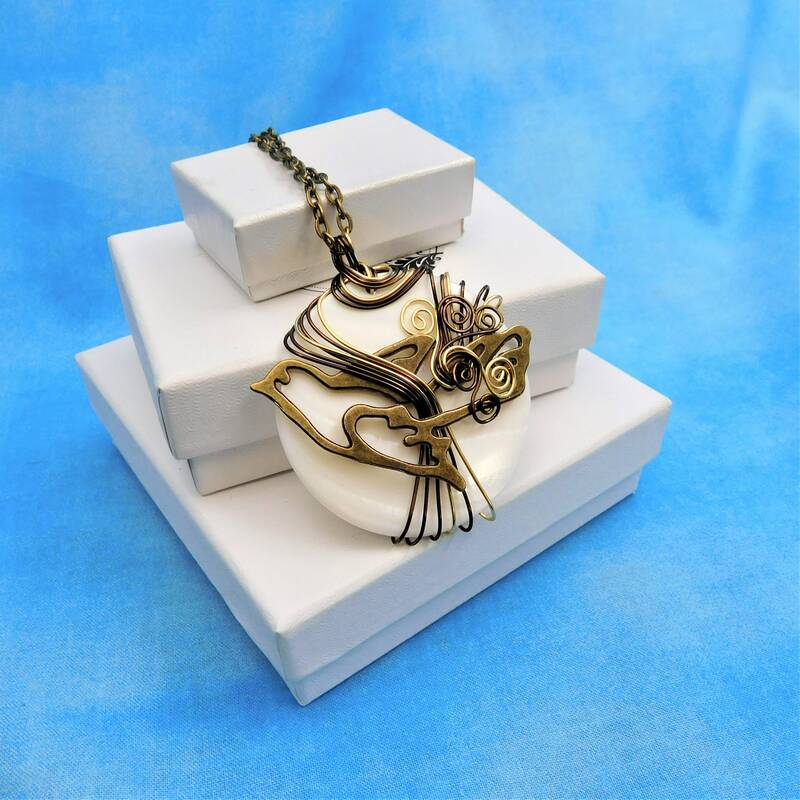 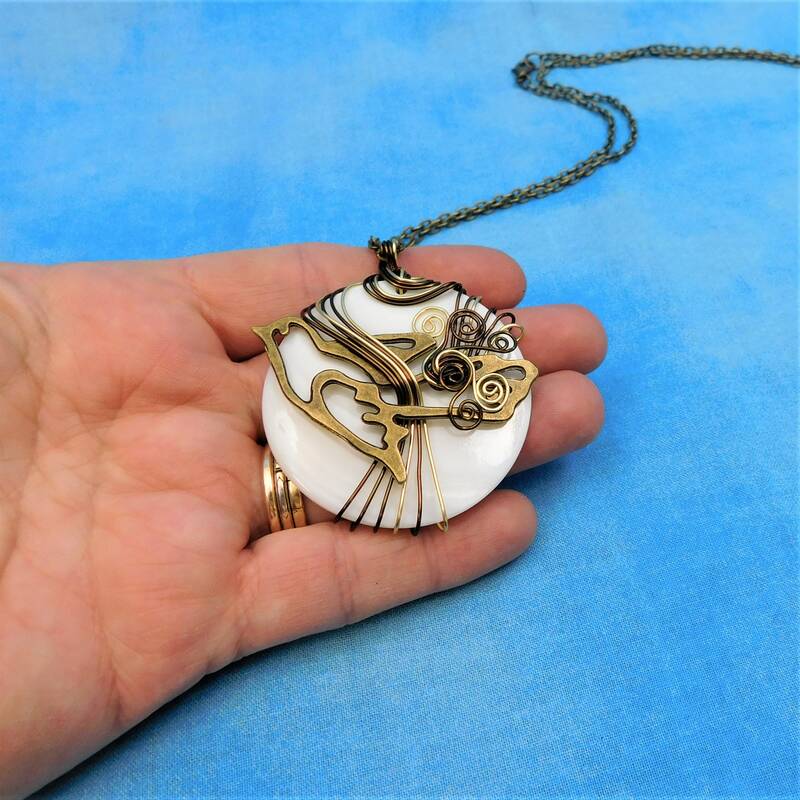 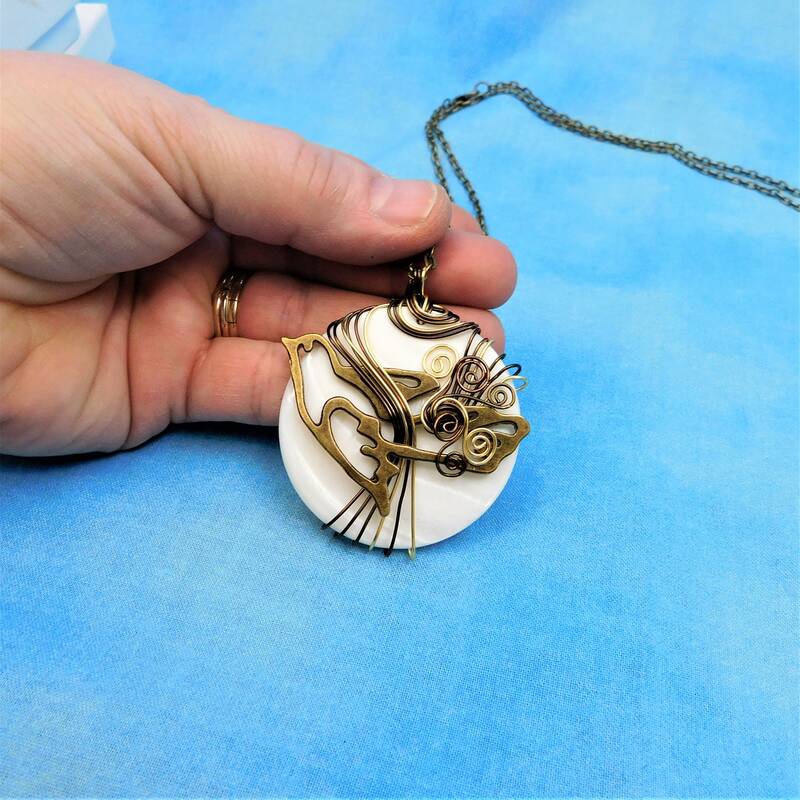 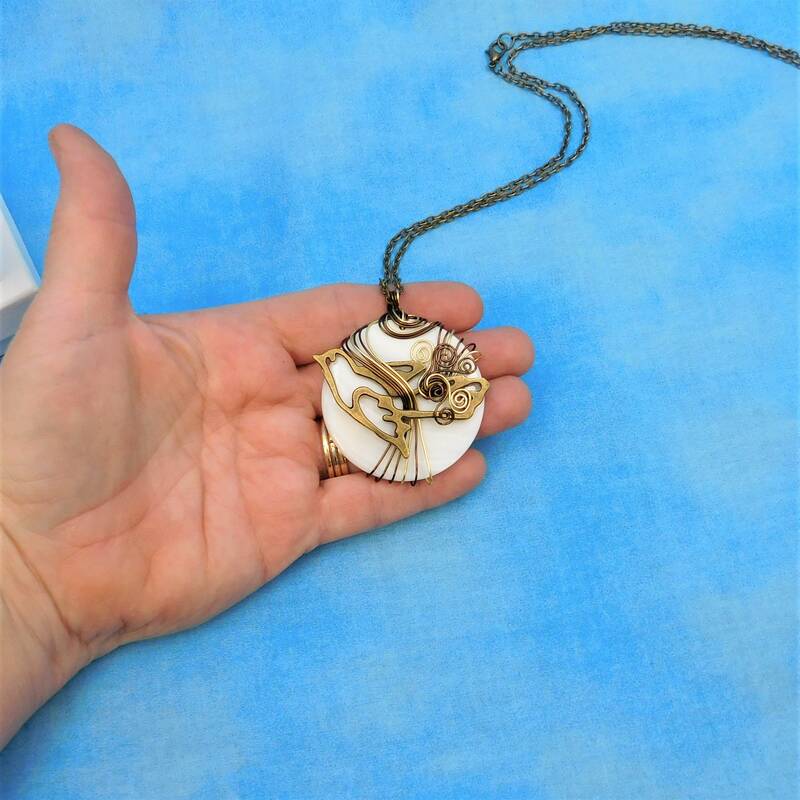 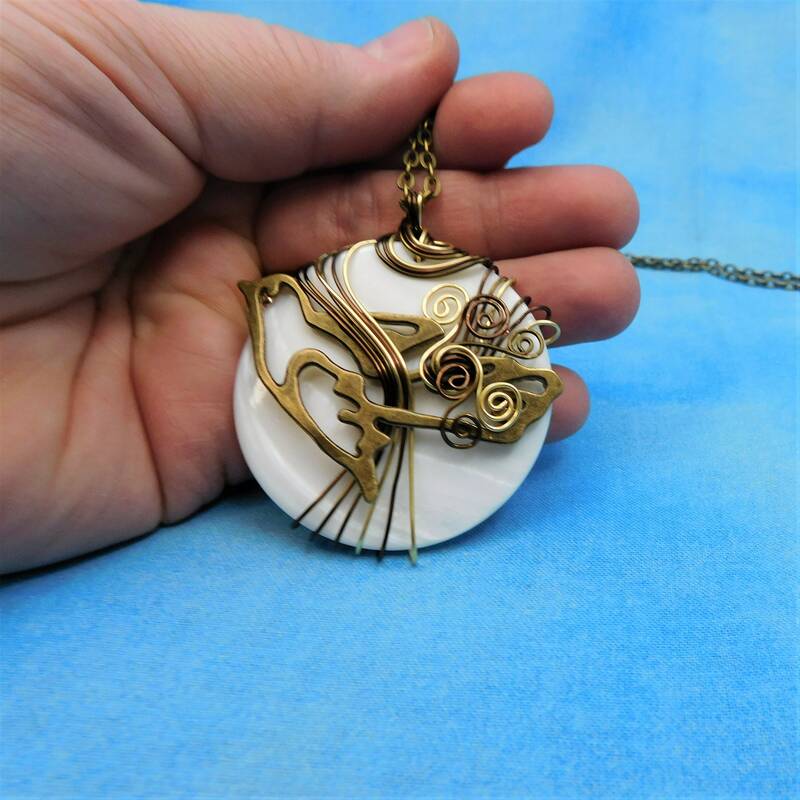 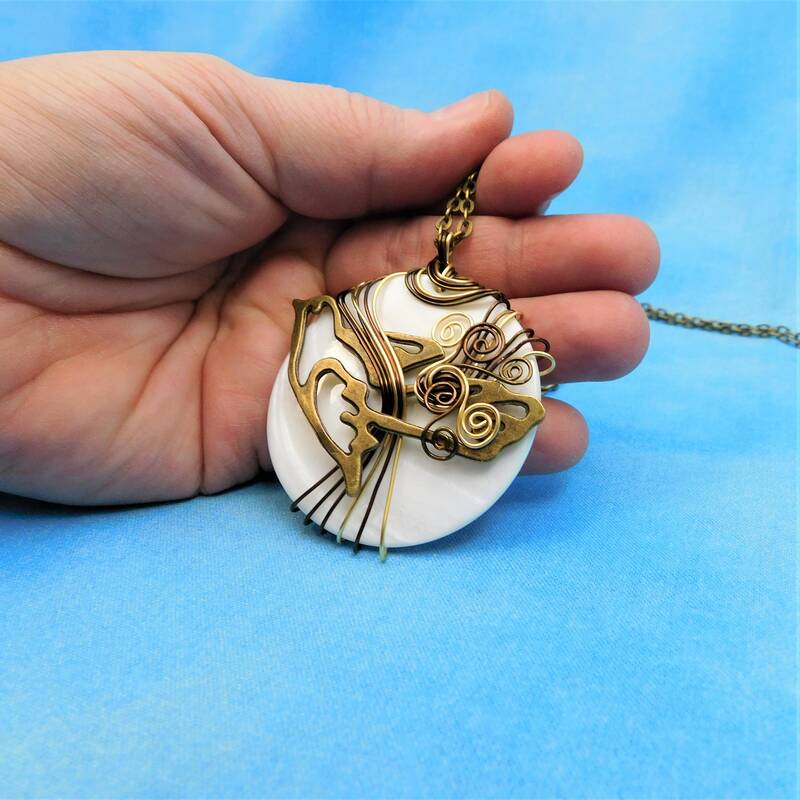 A 1 3/4 inch round white mother of pearl shell is artistically wire wrapped with three shades of non tarnish copper wire. 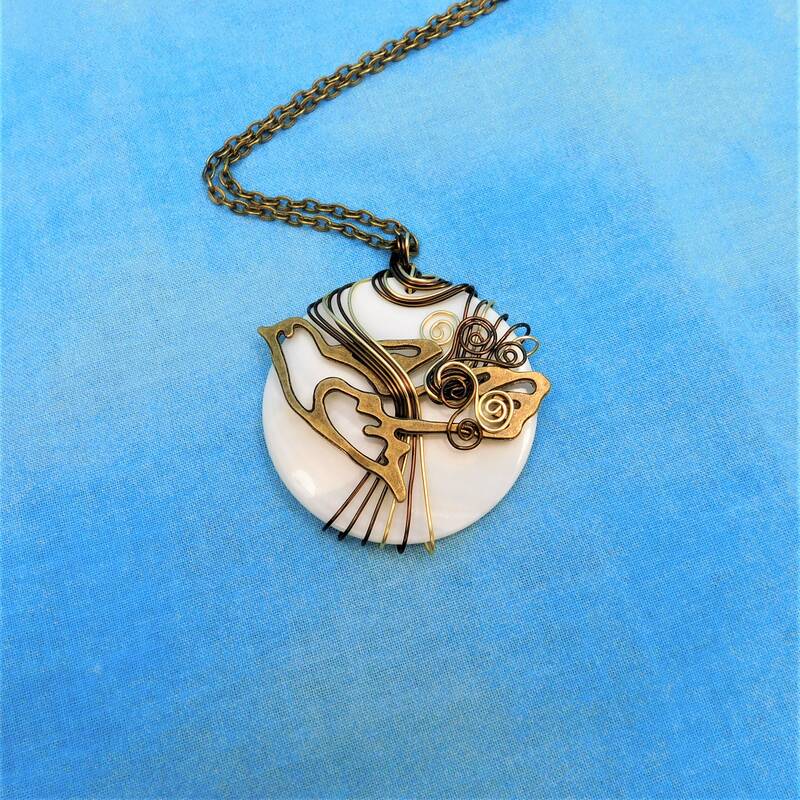 It is adorned with the silhouette of a vintage bronze colored metal hummingbird in flight. 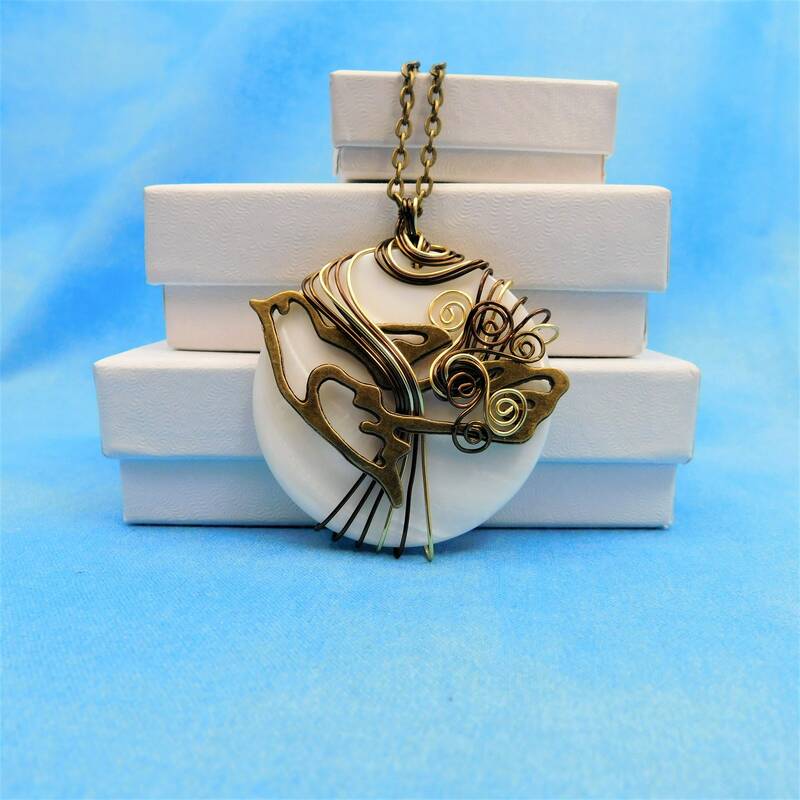 This is a substantial design that would compliment many styles and colors.